Our promise to you is our very best professional inspection and your complete satisfaction. Our goal is to provide you with an unbiased and accurate report. 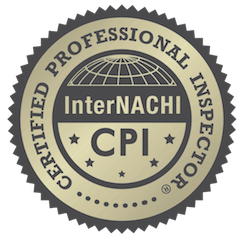 Call today to schedule a professional home inspector, drone home inspector, and residential home inspections. Cougar Mountain Home Inspection, LLC is proud to provide services for the city of Issaquah, WA for Drone Home Inspector. Cougar Mountain Home Inspection, LLC has been servicing its satisfied customers out of Issaquah, WA. Cougar Mountain Home Inspection, LLC strives to provide superb craftsmanship and outstanding customer service. Our professionally trained and licensed representatives provide our customers with the best rates without ever sacrificing quality. We're proud to provide our service in Issaquah, WA and other surrounding areas. Cougar Mountain Home Inspection, LLC is offering their latest promotion for home inspections in Issaquah, WA. Cougar Mountain Home Inspection, LLC works side by side with each client to provide the highest quality of work, reliability, and customer satisfaction.